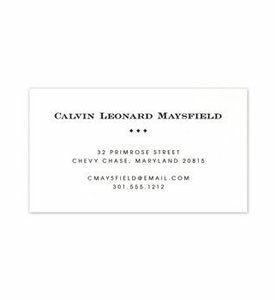 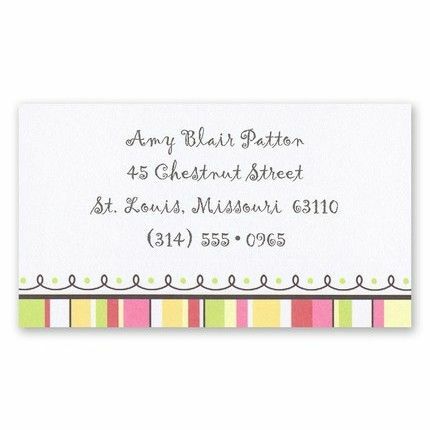 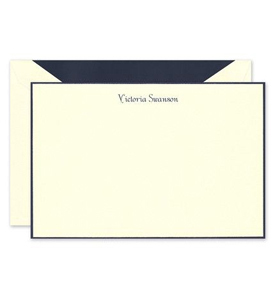 This flat, white calling card features black swirls with lime green polka dots at the bottom of the card. 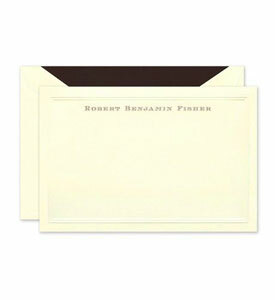 A black line separates a colorfully striped bottom border. 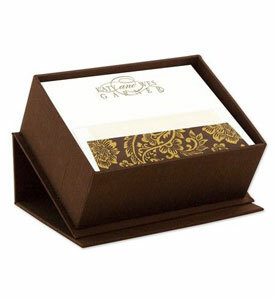 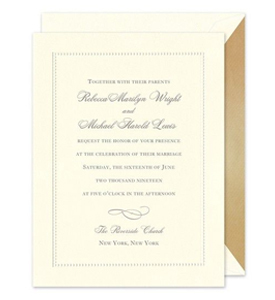 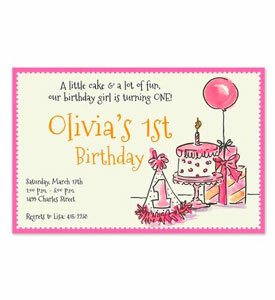 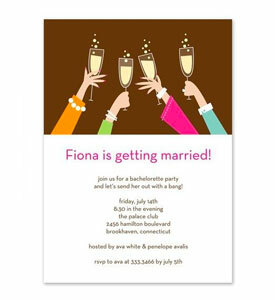 Colors in the design on the card include: lime green, red, pink, orange, light yellow and black.